Last night, A$AP Rocky released a new song called “A$AP Forever,” which is credited as featuring Moby. But instead of being a genuine collaboration between the rapper and singer-songwriter (who released a new album last month), the song samples heavily from Moby’s 1999 Play hit “Porcelain.” Later, Rocky appeared on The Tonight Show Starring Jimmy Fallon to perform part of the single in a medley featuring a blown-out unreleased song called “Distorted Pictures.” The unusual performance featured Rocky waking up in a quarantined room being monitored by gasmasked scientists. 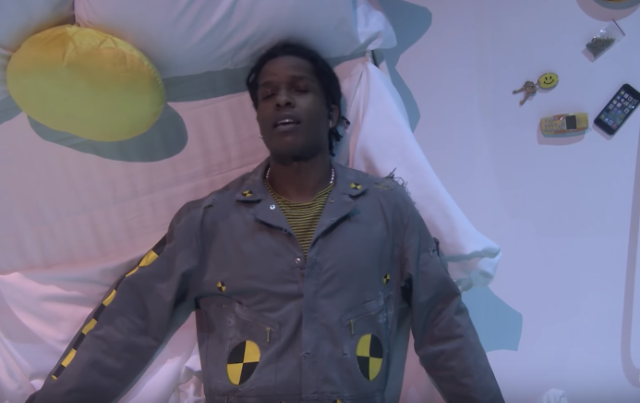 Listen to “A$AP Forever” and watch the Fallon performance below.